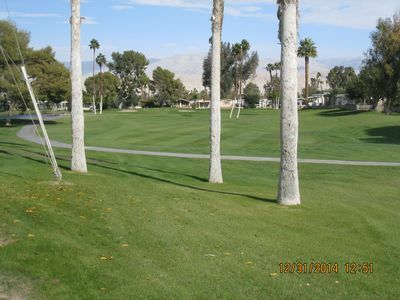 Our property is located in a peaceful country club setting with 24 hour security in a gated community. 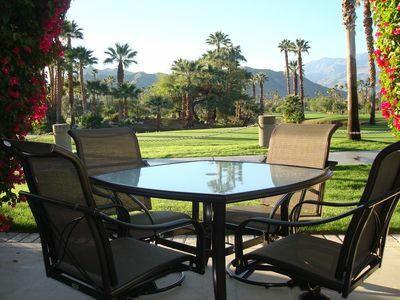 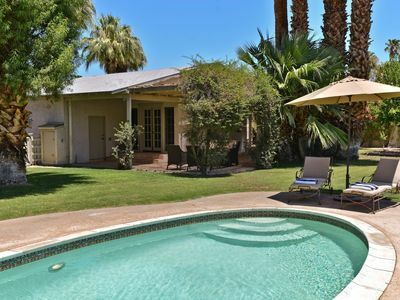 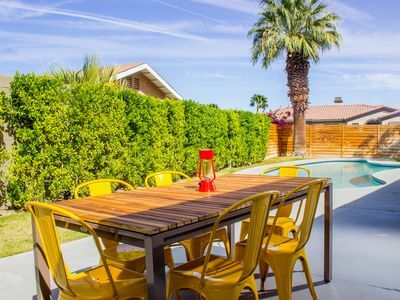 It is located in the best part of Palm Springs, close to all amenities. 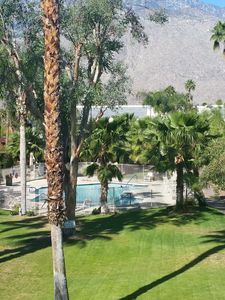 From one of the balconies of the condo you have beautiful mountain views of the San Jacinto mountains. 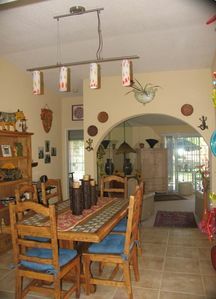 The condo is tastefully furnished and artistically decorated. 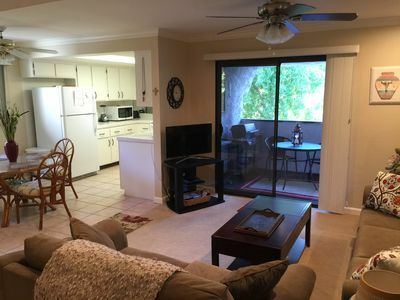 It has a library, 2 television sets and for golfers significant discounts discounts can be arranged. 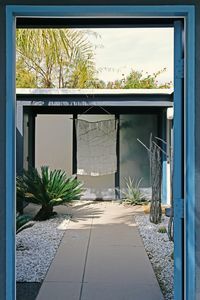 Earthy Mid- Century Luxury W/ Casita & Pool.